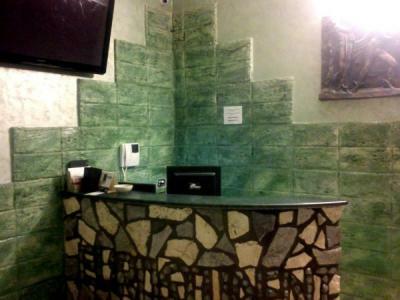 Florence – Hostels in Florence. Maps for Florence, Photos and Reviews for each hostel in Florence. Looking for a hostel in Florence? Look no further, all the good deals in Florence are on Dorms.com. Like thousands of other people every month, book your hostel securely at the best price in all neighbourhoods of Florence. On this site, you can easily find a hostel downtown, in a trendy neighbourhood; a hostel in the student- university district, close to bus or train stations, airports or major attractions of Florence. To reach the hostel from the airport take tramway line T2 VESPUCCI and get off at BELFIORE stop.Walk up VIA GUIDO MONACO and the second on the left is VIA IACOPO PERI where the hostel is. Uffizi is a great choice for travellers interested in food, museums and history. Good location and wifi connection. Extremely wet bathrooms and guys. Piece dark, cold and girl. Common space not very usable in winter, dark and outdoors, is across the street from where you'll sleep, like the kitchen, which is for tea and store things in the refrigerator. Convenient location, comfort suitable for the price. There was no hot water on the second day. Inn with decor, and great outdoor amenities. On the other hand the rooms as well as the bathroom lack of facilities (shelves in bathroom, and sink clogged in the bathroom). The wifi did not work in our room .. Unpleasant evening staff. The manager is not at all conciliatory. Minimum credit card 50 euros! In the evening, a very masculine atmosphere with several men staring us up and down. Another tourist asked to change dormitory (mixed to female) because a man was wanking in the bed from below, response from the manager: "but why you have not taken a picture". I can not believe that in the twenty-first century we still have to endure this kind of sexist and guilt response. The person who receives us in the morning is more pleasant, although she also cowardly in her way of facing the situation: "we can not choose the hosts, we can not do anything about it". The hostel is clean and well located it's a shame that it is managed by such an unbearable staff. This hostel is ideal for short stays. It is located in a quiet area just off the main train station in Florence and is within a fifteen minute walk to the heart of the historic center. The equipment of the rooms makes it possible to keep all its possessions in security (presence of padlockable lockers). If it has a common room with TV, a terrace and a room with fridge and microwave, we regret the lack of cuisine and the lack of involvement of the staff to make real living places sociable. This one fault makes me unable to consider this hostel as a real hostel. I was able to book one night while the hostel is closed for 1 month !! How is it possible ? Why is the hostel still active on this site? Do not book this hostel because you can not sleep! The phone number stops responding and you can not reach anyone. I put a 1. They did not give me receipt of payment, they kept my ID, I paid for 8 beds and there were 9. on the page they do not indicate that you can not be in the hostel from 9.00 to 16.00. The guy in charge is very burdensome and makes parties inviting friends as caring as he is.